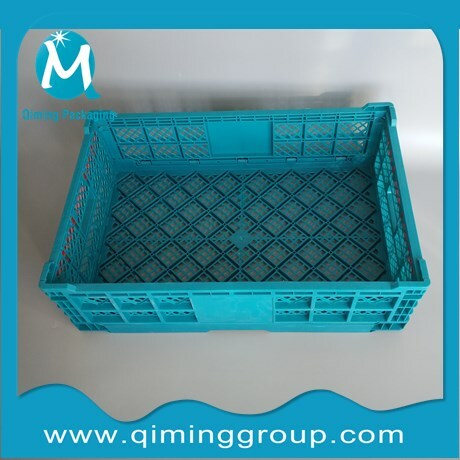 Plastic folding turnover crate is a new type of plastic turnover crate with folding function, which is very popular in the plastic turnover box industry in recent years. 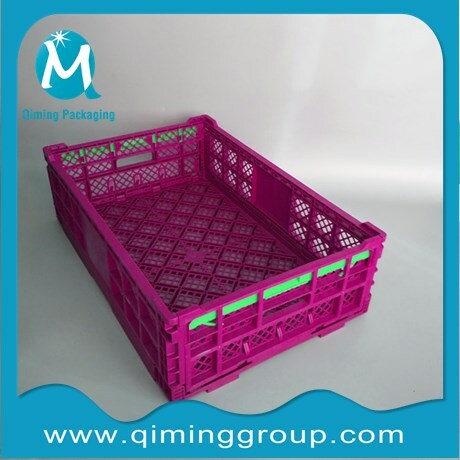 The plastic folding turnover crate adopts the international popular style. According to the different folding modes, there are two folding methods: folding in opposite direction and inverting in inside. The folded volume is only 1/4-1/3 of the assembled volume. It has the advantages of light weight, less space occupation and convenient combination. It has been widely used in the closed-loop distribution system of major supermarket chains, 24-hour convenience stores, large distribution centers, Department stores, light industry, clothing, household appliances, food processing, etc. 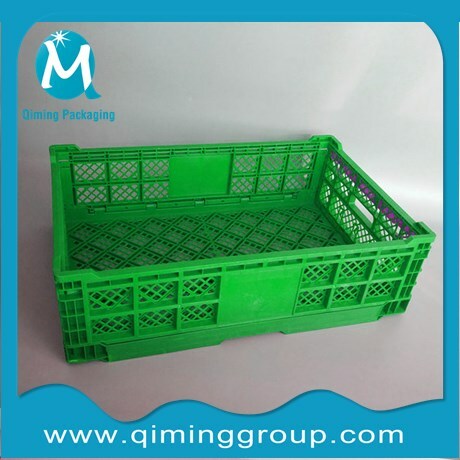 Plastic folding turnover crates are very common in life. 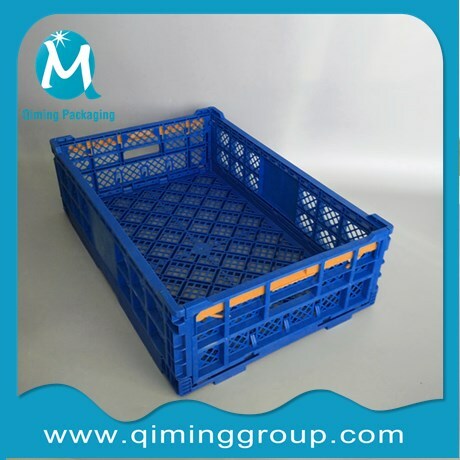 What are the properties of Qiming plastic folding turnover crates? They are often seen in big cities and rural areas, such as the packaging of beverages and fruits. 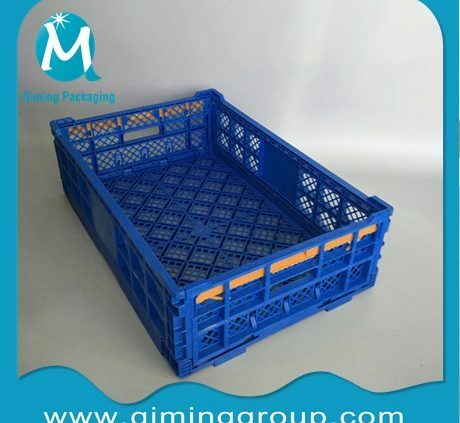 The reason why plastic turnover crates are so widely used is mainly due to the unique performance of plastic turnover crates. Performance 1: Plastic turnover crate not only has the advantages of anti-aging and anti-bending, but also has the advantages of high bearing strength, tension, compression, tearing, high temperature and rich color. 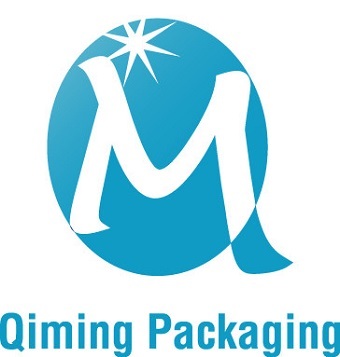 It can be used not only for turnover, but also for shipment packaging of finished products. It is light, durable and stackable. Performance 2: Plastic turnover crates can be customized according to user’s requirements for various specifications and sizes of turnover crates, but also according to user’s requirements to add some special design, such as adding covers, so that turnover crates have the advantages of dust-proof, beautiful appearance, generosity and so on. This is also one of the main factors contributing to the popularity of plastic turnover crates. 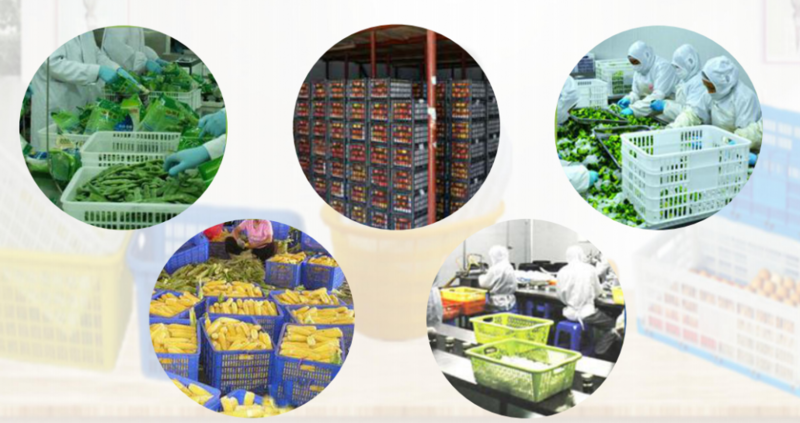 A good helper for transportation, packaging, refrigeration, collection and turover for fruits and vegetables. 100% new PE raw materials, non-toxic and tasteless, safe and environmentally friendly, could be cleaned in high temperature, repeated use. the external reinforcement design makes it more durable and don’t easy to deformed, and the service life is longer. Thickened bottom design, smooth edges, can bear larger weight and non-slip, safe to use. Ventilation design, air holes are evenly distributed, meticulous workmanship, anti-metamorphosis, and convenient to observe the goods in the frame. The plastic basket can be placed on top of each other, effectively avoid damage during transportation. Production abality: 10000 pcs per day. 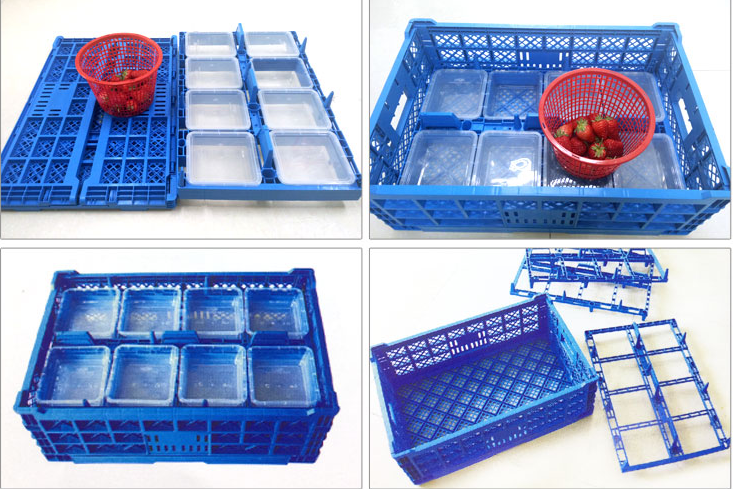 More info about plastic folding turnover crates, kindly visit our website homepage to see more!